Big Value 'Variety Tastes' Lunch Sets, offering a choice of lunchtime sampler sets spanning a selection of favorites with just the right amount of spice all through September and October 2014. The Mango Tree BistroBar culinary team has been perfecting these packages and is delighted to now offer three choices of set lunch, each developed to offer variety, authentic taste, value and to suit those with limited time for lunch, and perfect for everyone from single diners to large groups, and from business-people to shoppers, tourists and local residents. Just add Rp 25,000++ to make your Lunch Set complete. 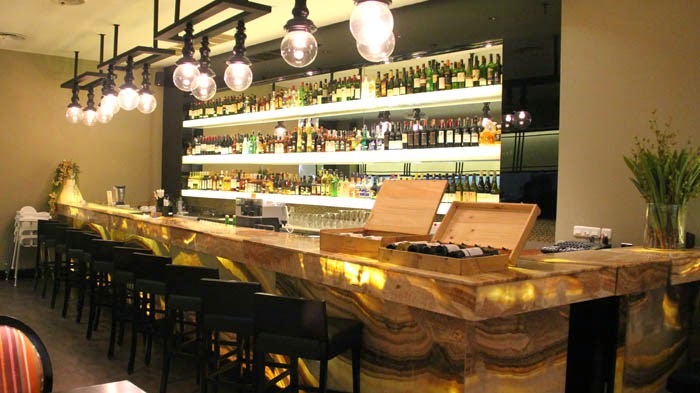 Mango Tree BistroBar Plaza Senayan also offers “3 Musketeers” deal on the drinks, which includes 3 bottle of local beers or 2 cocktails for "Woman on Top" for just Rp 100.000,++, and also "Double Trouble" buy 1 get 1 free spirit & liquor by glass or bottle. Mango Tree BistroBar Plaza Senayan will introduce 'Thai High Tea', a uniquely Mango Tree twist on the classic afternoon tradition of High Tea in October. And also ‘The Haunted Garden’ set for Halloween feast from 26 October untill 5 November. 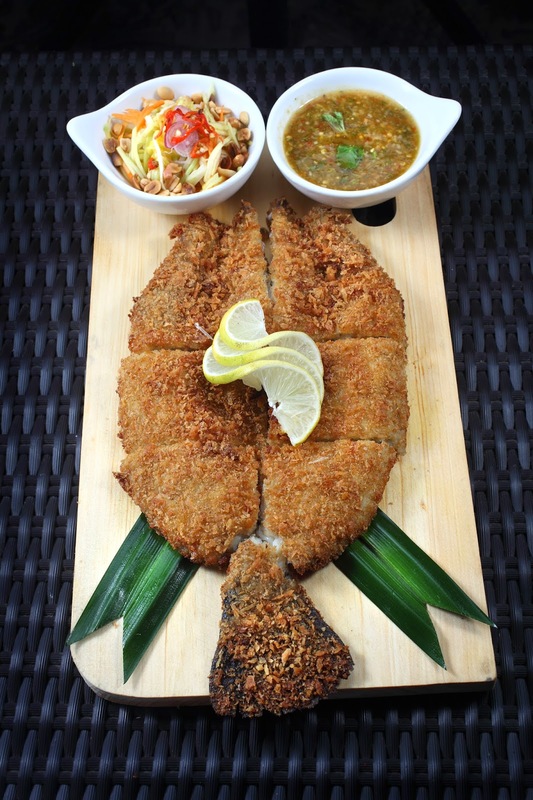 Mango Tree BistroBar Plaza Senayan co-owner Margerry Muliadi said she was excited to introduce these dining innovations, which were geared to the needs of local diners and business-people who needed a working lunch on the go or for shoppers to take a break and pop in for a bite. “Our signatures and favorites like Tom Yum Seafood, Shrimp Pomelo Salad, Grilled Beef Neck, Grilled Chicken with Lemongrass Served with ‘Jim Jeaw' Sauce, and Deep Fried Seabass with Mango, Tamarind, and Cashew Nuts are still very much available, along with all the normal menu items,” she said. And on the subject of Mixology, Mango Tree Bistrobar favorites including Green Mango Margarita, Chili Pineapple Martini and Lemongrass Mojito are on the menu, along with a signature series of cocktails created especially for Mango Tree BistroBar Plaza Senayan by world class Mixologist Joseph Boroski. The Mango Tree group is a dynamic, innovative and fast-growing company that has a vision to bring authentic Thai cuisine with a creative twist to the world, and to plant a Mango Tree in every major world city. At the vanguard of the global Thai food explosion, the Mango Tree group comprises the Mango Tree, Mango Tree Bistro and Mango Tree Cafe brands, as well as Coca, the contemporary steamboat suki concept. The group's heritage dates back to 1957, when Khun Srichai Phanphensophon opened the first Coca restaurant in Surawong, launching the suki trend in Thailand. The pioneering spirit continued when the group's CEO and celebrity chef Pitaya Phanphensophon, Srichai's son, opened the first Mango Tree restaurant in the heart of Silom in 1994. Today, the group operates more than 70 restaurants and cafes in 15 countries in Asia, the Middle East, and the USA. Part cultural ambassador and part culinary innovator, Mango Tree has charted a course to become the premier global Thai cuisine brand, delivering quality Thai cuisine, stylish design, and intuitive service that always exceeds diners' expectations.